Mission Statement: Our emphasis is on providing high quality veterinary service to our clients and patients. We seek to serve those who feel that quality is of the utmost importance. Our clients and our patients are the heart of our practice. We will, at all times, treat them with respect, dignity, and compassion. Just as we would treat a member of our own family. 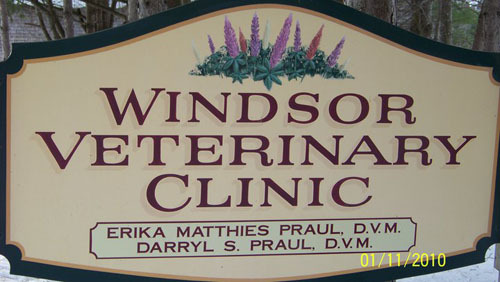 Windsor Veterinary Clinic is equipped with technologically advanced diagnostic equipment and we are proud of our broad range of laboratory capabilities. We are able to perform most diagnostic testing within our facility, which allows for a more rapid diagnosis (at a lower cost than referral labs).